Maximum number of students is 30, register soon! This course has been subsidized by Cassidy Joined for Hope. ASIST is a two-day intensive, interactive and practice-dominated course designed to help caregivers recognize and review risk, and intervene to prevent the immediate risk of suicide. It is one of the most widely used, acclaimed and researched suicide intervention training workshop in the world. ASIST prepares professionals, volunteers and informal helpers to know how to help persons with thoughts of suicide in ways that increase their suicide safety. Trainers are certified by Living Works, Inc. as accomplished practitioners in suicide prevention, intervention, and postvention. Follow-up on all safety commitments, accessing further help as needed. 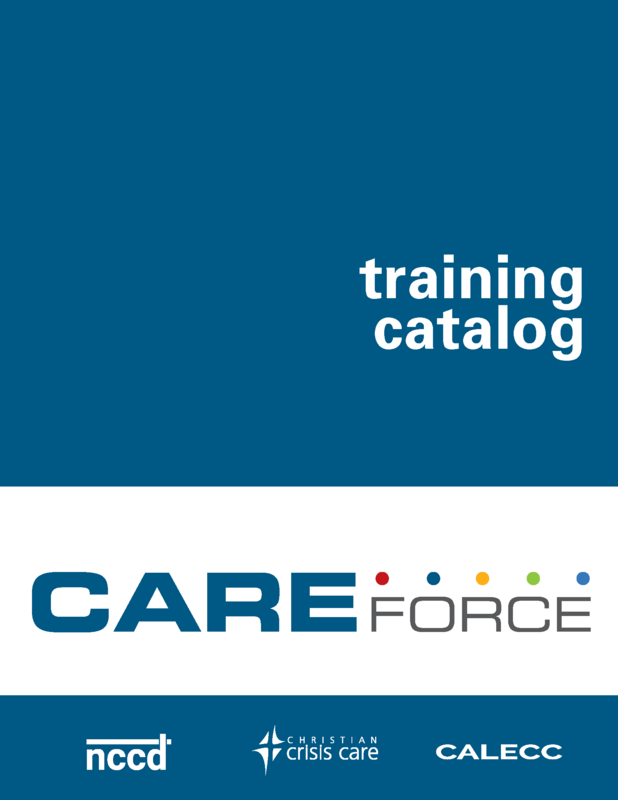 CAREForce provides organizational development, training, and practical response to individuals and organizations in crisis. Trained chaplains working within a triad of care consisting of mental health, peer support and chaplains, provide physical, emotional, cognitive, behavioral and spiritual support following a critical incident.